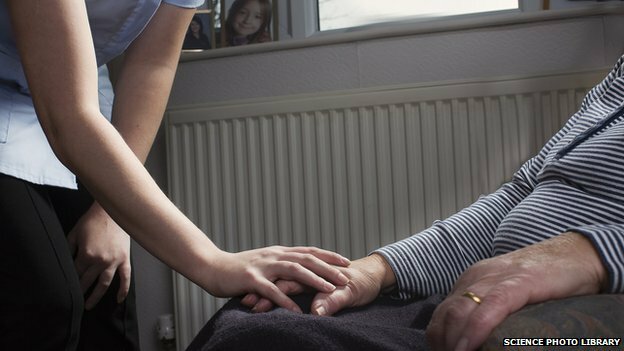 The home care system in England is close to crisis because of the way workers are exploited, a report says. The review, led by former Care Minister Paul Burstow, found a combination of inadequate funding and poor working practices was putting people at risk. About 500,000 older and disabled people rely on home care for daily tasks such as washing and dressing. Some pay for it, but others get help from councils. But the report said zero-hours contracts and low pay was harming care. The review was set up by the Local Government Information Unit think tank and home care provider Mears, after a number of scandals in residential care homes. It analysed existing data as well as taking evidence from those in involved in the sector and concluded it was “only a matter of time” before there was a major scandal in home care. If found about 60% of care workers were employed on zero-hours contracts, while there were many staff – up to a third – who were effectively not being paid the minimum wage because they are not paid while travelling between clients. These practices contributed to a high turnover rate in the sector with over a fifth of staff leaving their jobs each year – twice the national average. The lack of stability meant that those receiving care were often faced with short visits and constant changes in staff – there were reports of some people having up to 50 different carers in a year. The report said care workers should be given key-worker status and paid the living wage, which currently stands at £9.15 an hour in London and £7.85 elsewhere. But it said this would require care providers to be paid more by councils for the work they do. Care and Support Minister Norman Lamb said it was “completely unacceptable” for staff not to be paid fairly. He said providers that broke the minimum wage law would be “named and shamed”. But Colin Angel, of the UK Home Care Association, which represents providers, said they were doing their best, but were being squeezed financially. “Older and disabled people deserve excellent services from a workforce which is suitably trained, committed and adequately rewarded for the increasingly complex care required to be delivered at home,” he added.